Northwest Christian Writers Association - Grace Fox - "Changing the World with Words"
Grace Fox - "Changing the World with Words"
Jesus, the Word incarnate, changed the world through His words. He calls and empowers writers who are Christian to do the same. Our words can proclaim truth in a society that’s straying far from it. They can teach others how to live in a manner that pleases God and protects them from the dangers of wrong choices. And they can bring hope to those who are afraid or discouraged. Ours is a God-sized task often challenged by the fear of inadequacy and rejection. How can we face those fears to fully embrace our divine assignment? Grace Fox shares personal experiences about facing fear on her writing journey and tells how God met her in amazing ways to confirm His call and give courage to venture into the publishing industry. Her account, and her reminder to keep first things first, will inspire you to persevere and to trust Him to empower you to become a world-changer through your words. 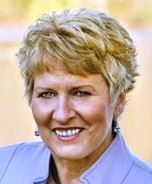 Grace has written hundreds of magazine articles and eight books including Moving From Fear to Freedom: A Woman’s Guide to Peace in Every Situation (Harvest House). She’s a regular contributor to the “Just 18 Summers” blog and Guideposts’ annual Mornings With Jesus 365-day devotional. Grace is also a popular international speaker and the national co-director of International Messengers Canada, an interdenominational mission with approximately 200 career staff working in 20 countries. Christian Writer's Coach: Kate Breslin - "Words are like Brushstrokes: Using Metaphors and Similes to Color Your Writing." Devotion: Sylvia Stewart - "When Christmas Came to the Dogtrot"